If you’re someone interested in Information Technology (IT), web development, and everything in-between, there comes a time when your interest becomes a love that motivates you into a lifetime career. And yet, as you well know, you can’t make it in the web sector without certification. We’ve got an incredibly valuable collection of training to help you get that needed edge. Called Ultimate MCSE Certification Training Bundle, it provides a number of courses designed to test your abilities in needed areas that you’ll engage once your career takes off (or advances, for those already in the field). Four courses with around 1,300 lessons, totaling 60+ hours are included in the certification bundle. The best part? It’s yours for life. In course 1, titled “Installation, Storage, and Compute,” you’ll learn about Storage Spaces and Data Deduplication, Windows Server 2016’s Hyper-V platform, and Containers. Course 2 is all about BranchCache & the Distributed File System for branch office scenarios, planning and implementing IPv4 and IPv6 address schemes, Domain Name System, assign IP addresses using Dynamic Host Configuration Protocol, and advanced networking. Course 3 of the Lifetime MCSA Windows Server 2016 Bundle pertains to the implementation of Group Policy, the deployment and configuration of Active Directory Domain Services, to install and configure domain controllers, as well as perform backup and restore. 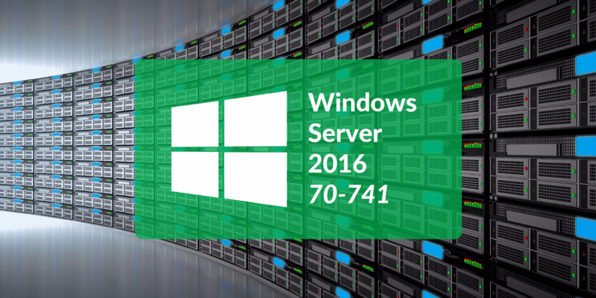 Finally, in the fourth course, you’ll learn how to secure Windows Server 2016 environments and prepare you to take the MCSE: Cloud Platform and Infrastructure exams, crucial to earning an even higher income working with Windows Server 2016. The Ultimate MCSE Certification Training Bundle normally costs $1,1969, but has been discounted by 95% — bringing the price to $49. If you want to get MSCE-certified, this is the way to do it. Don’t wait on this offer, as it won’t last forever!